This medal was among the coins my father passed to me. The bronze replica I have was distributed to Boston school children in 1901. My grandfather was fourteen years old and his family was living in Boston then, so it is quite possible that one of these was given to him. Unfortunately, it's not the one I have now as I sold that years before I knew what it was. The reverse is a replica of a gold medal given to George Washington.Washington's family sold that in 1876 to a group of Bostonians who purchased it and immediately gave it to the City of Boston, intending it for the Boston Public Library. 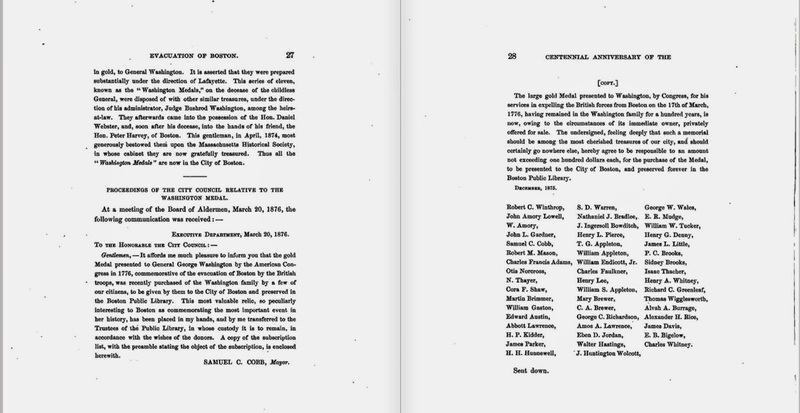 The medal is supposedly on display at the Boston Public Library each year on Washington's birthday. I've never seen it, but it is said to weigh over 7 ounces, so it must be impressive. This copper medal is 38 mm,; the gold medal is 68 mm (2.67 inches). This medal is HK-131, a "so called dollar". 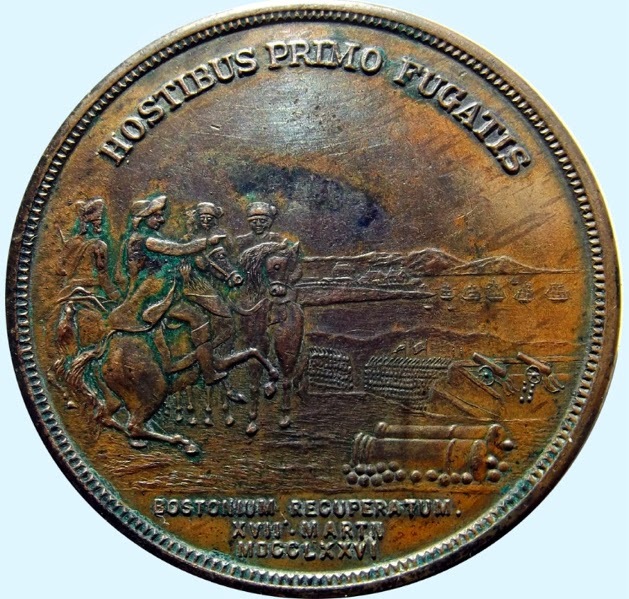 There are many restrikes of the original medal; see "Washington Before Boston Medal". 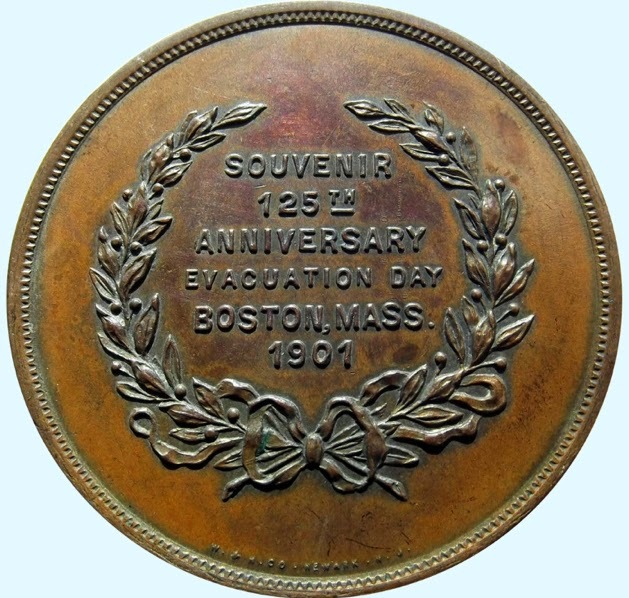 I found Celebration of the Centennial Anniversary of the Evacuation of Boston by the British Army which describes the purchase of the medal among other celebrations of 1876. Two people with "Lawrence" surnames contributed to the purchase of the gold medal ) but neither were my grandfather's father Herbert Myron Lawrence. They could be relatives, but I do not know. I believe Herbert Myron was in San Francisco at that time.